Learn more about the benefits of having a real estate agent on your side when buying a new construction home or condo in The Triangle area. Home sellers pay the commission in any real estate deal, so you don’t have anything to lose when working with a real estate agent. So at the very least, why not have someone there to help guide you through the buying process? Nobody knows the market better than us, so we’ll use all our resources to ensure you’re getting a fair deal that makes sense in today’s housing landscape. In addition, we can also negotiate on your behalf for upgrades or additional features you might want included, which means you’ll have to do even less when buying your new home! Sure, home builders usually have a preferred lender they might recommend. But then again, so do most real estate agents. And it’s always best to shop around for the right mortgage product that fits your individual needs and wants. And even if you choose the builder’s lender, it can’t hurt to have a real estate also make sure you’re getting a mortgage that works best for you. 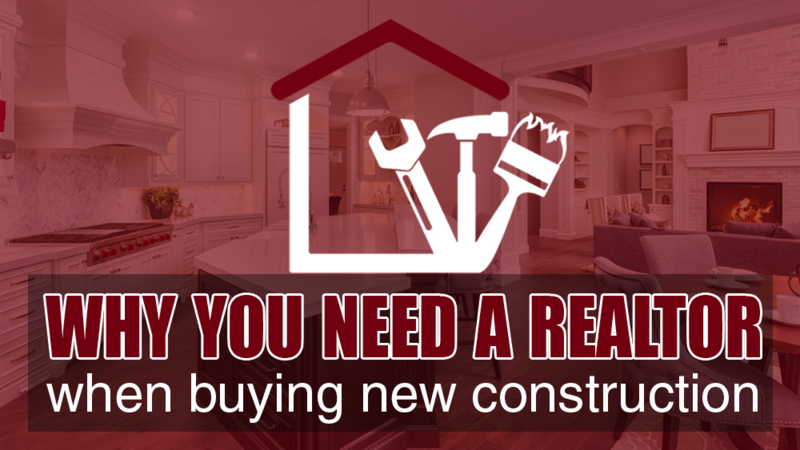 LOOKING FOR THE RIGHT NEW CONSTRUCTION HOME? CONTACT US NOW!